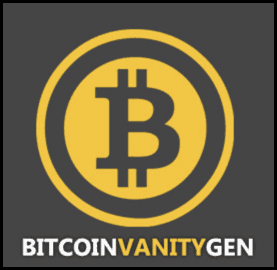 Vanitygen: What's A Bitcoin Vanity Address & How To Make One? Are you too bored from typical alphanumeric Bitcoin addresses? That’s why today on the onset, I decided to find out a solution for these boring Bitcoin addresses which usually appear quite shabby when posted here or there in the cyberspace. Plus, I don’t feel any personal touch in them that’s why maybe it might be boring for you and me. But now you can give a personal touch to your Bitcoin or other cryptocurrency addresses because now you can make vanity public addresses for them. This way you will able to create and use such addresses which are recognizable and distinguishable from the boring ones. Another way of looking at these addresses is as custom Bitcoin addresses that help you in personalizing as well as customizing your Bitcoin address. What’s A Bitcoin Vanity Address? A Bitcoin vanity address is simply a personalized Bitcoin public address. In this kind of addresses, you can add your personalized words or letters to make it unique and personal for yourself. A vanity address can start with a string of letters and numbers that is publicly available or else can start with a customized set of letters and numbers. This way your Bitcoin address will stand out from the rest. This is much like the vanity number plate of your vehicle which is considered as a symbol of prestige and high standard in some parts of the world. Through vanity Bitcoin addresses you can get the same prestige in your addresses too. Now, I know you must be thinking how to create such vanity addresses for yourself? Well, for that you need to use special purpose Bitcoin vanity address generators also known as Bitcoin Vanitygens. So let’s first see, Vanitygens and then see how to create a Bitcoin vanity address from these vanitygens. What’s A Bitcoin Vanitygen or Bitcoin Vanity Generator? Vanitygen is a command-line vanity bitcoin address generator. This is a DIY method. 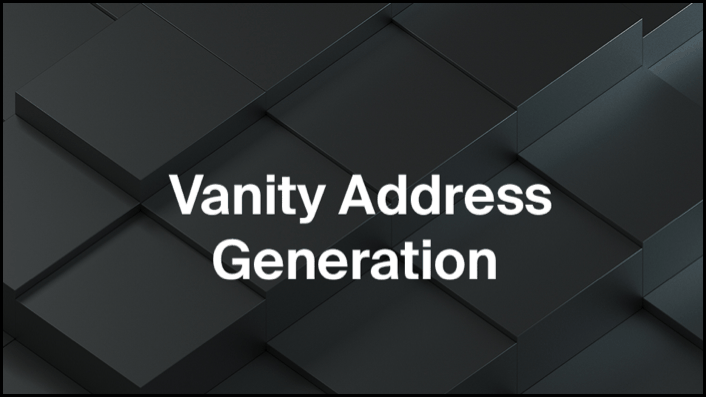 If you’re tired of the random, cryptic addresses generated by regular bitcoin clients, you can use vanitygen to create a more personalized address. Use something like this and add unique flair when you tell people to send bitcoins to 1stDownqyMHHqnDPRSfiZ5GXJ8Gk9dbjO. How To Create A Bitcoin Vanity Address? Vanitygen accepts as input a pattern, or list of patterns to search for, and produces a list of addresses and private keys. Vanitygen’s search is probabilistic, and the amount of time required to find a given pattern depends on how complex the pattern is, the speed of your computer, and whether you get lucky. Another way of generating a vanity address is through vanity address generator pool. Using these services you can outsource your making of personalized Bitcoin address. Also, using this method can be quite risky because the service can keep the private key at the time of address generation, leaving your funds stored on vanity address at stake. However, to combat this split-key address generation. This means the user only gives us his public key and stores the private key himself. When generating the final Bitcoin vanity address, the user will have to use his/her private key to unlock the final keypair. This ensures no one but the user will have access to the generated vanity address. Risks Of Using A Bitcoin Vanity Address !! Risks of using vanity addresses are many but if used smartly these risks can be minimized or totally eliminated. That’s while making vanity addresses yourself you need to keep the partner hard to guess and higher in difficulty, For example, a Bitcoin vanity address starting with ‘ 1Bitcoin24…’ will take 3500 years worth of computation with the current infrastructure to be broken. Whereas anything with a lesser degree of difficulty would be very easy to decode and hence attack. Another, risk that comes with vanity address is the factor of trust. When you outsource the work of vanity address to vanity pools or when you buy vanity addresses directly from the market, you need to trust the service provider that he/she doesn’t have a copy of the private keys for the vanity address that you have taken. And this whole notion of trusting someone goes against the ethos of Bitcoin for which it was built. So, one should verify and not trust in the Bitcoin realm. With this, we will take a leave for today so that we shall be back soon with something new to enlighten you on the subject of Bitcoin. If you liked this article? Do share it with your friends on Twitter & Facebook ! !